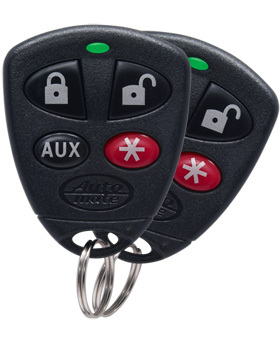 Automate - The AM-7 is a full blown vehicle security / remote start / keyless entry system with two new miniature 4-button transmitters and off board XHF receiver for maximum range. The AM7 has all the remote start features of the AM6, plus all the security features of the AM5. It starts your new vehicle from up to one-quarter mile away, and protects it from thieves and vandals.